Maya Maxwell reportedly told Temple Police detectives she was with Cedric Marks when he allegedly killed Jenna Scott and Michael Swearingin in a Killeen residence, an arrest affidavit obtained Tuesday by the Telegram said. Maxwell, Mark’s 26-year-old girlfriend, was in Oklahoma when Swearingin and Scott were buried in shallow graves, and she told detectives where the bodies of the friends from Temple would be found, the affidavit said. Marks killed Scott and Swearingin on Jan. 3, according to Maxwell. They were alive when they were taken to Killeen and put into two different rooms. According to Maxwell’s statement, Marks walked into the room where Swearingin was kept, she heard a struggle and, when Marks came out, Swearingin was dead. Then Marks walked into the room where Scott was, the affidavit said, and Maxwell heard another struggle and — after Marks came out — Scott also was dead. Temple Police and Oklahoma authorities have not listed an official cause of death for Swearingin, 32, or Scott, 28. Not revealed in the affidavit was the address in Killeen where the two friends allegedly were killed by Marks and how the bodies were transported to Oklahoma. The statement Maxwell gave said she was with Marks both before and after the deaths of the two friends and during the burials in Oklahoma. Marks and Maxwell reportedly were hidden from Jan. 5 until Jan. 8 in the Michigan home of Marks’ wife, Ginell McDonough. Marks reportedly was hiding from a warrant for his arrest for burglary of a habitation with intent to commit another felony, a first-degree felony offense. He was charged with burglarizing Scott’s home in August 2018 and threatening her and her family. The affidavit for Marks that charges him with capital murder of multiple persons gave no date when Maxwell told investigators what happened to Scott and Swearingin. The arrest warrant for Maxwell was issued Jan. 13. The capital murder warrant wasn’t signed and issued until after Marks escaped from the transport company early Sunday morning. Temple Police Cpl. Shawana Neely didn’t answer a question on why the warrant wasn’t issued earlier. In her version of events, Maxwell didn’t indicate she participated in the deaths of Swearingin and Scott. She was charged with tampering with or fabricating physical evidence, a third-degree felony. Maxwell told a Temple Police detective she took Swearingin’s 2016 Hyundai Genesis from Temple to Austin to hide it there “in hopes to conceal it from law enforcement,” the affidavit said. She told the detective that information during a voluntary interview. The Hyundai was found Jan. 5 in Austin. Bell County District Attorney Henry Garza answered questions about the case by saying, “As this is now a case with pending litigation, ethically I should avoid any comment on the pending case. I can explain that this has been a complex investigation which has reached across several states, jurisdictions and multiple law enforcement agencies for weeks. “Currently, the investigation by Temple detectives continues even though a significant amount of work has been accomplished. 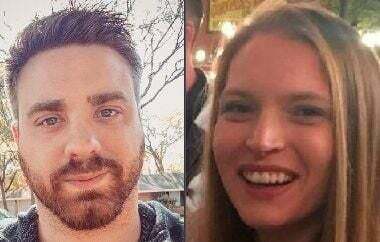 The investigation to date by the Temple police department was recently prepared for review resulting in Cedric Marks having been charged with capital murder in connection with the deaths of Jenna Scott and Michael Swearingin,” Garza said. Swearingin was last seen at 4:10 p.m. and Jenna at 4:38 p.m. on Jan. 3, Richie Davis, a friend of Swearingin’s, previously told the Telegram. A phone stopped tracking in Austin, and the car was located in an Austin neighborhood, unlocked and empty. Messages were sent from both Swearingin’s and Scott’s phones a couple times until 3 a.m. on Jan. 4, he said.